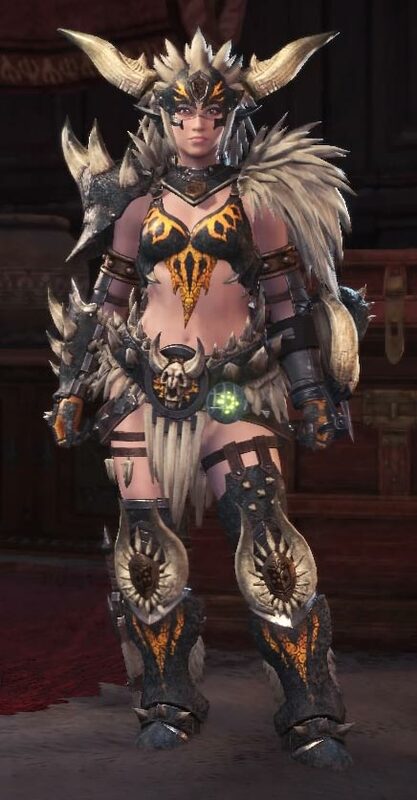 Nergigante is my absolute favorite monster in Monster Hunter World and I simply adore its armor set. While the costume looked fun and doable at the beginning, it turned out to be very challenging and drowned us in at the end. The whole project was made out of EVA foam and covered in thousands of scales that I burned in with my soldering iron for endless hours. In addition I sculpted, shaped, primed, painted and glued on over 800 individual spikes all over the costume. I’m especially proud of the Decimation Claws, the Nergigante Dual blades, I made for the costume. I actually lost count of how much EVA foam and foam clay I used for the project, but it was clearly a whole lot. In total we worked 3 months on this costume and as always Benni was a huge help!